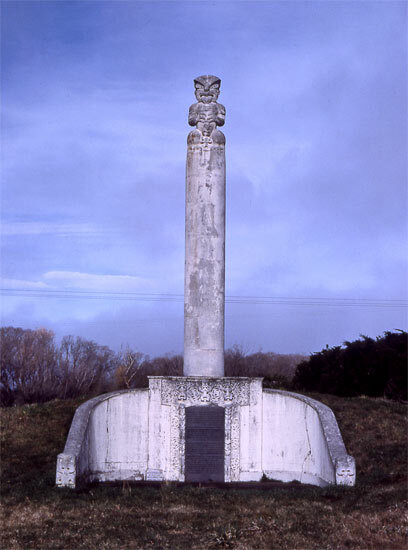 In 1898, largely on the initiative of the missionary James Stack, who was based in the nearby Ngāi Tahu village of Tuahiwi, a monument was erected on the site of Kaiapoi pā. This lay to the north of the present-day town of Kaiapoi. The tall column rises from a bank reconstructed on the pā’s original defences.